Running a restaurant is no easy task. Between managing staff, ordering products, and keeping both the kitchen and dining room maintained, restaurant owners and managers have a full plate. In addition to the day-to-day concerns, owners must always be prepared for the unexpected — anything out of the ordinary that could affect their business. One of the top rising concerns in the restaurant and food service industries is e.coli and other foodborne illnesses. These types of issues can not only leave your restaurant doors closed indefinitely, they can also leave a smudge on your reputation. Think back to Chipotle’s 2015 e.coli outbreak. The chain is still dealing with repercussions from it to this day. ARC Insurance Brokers can help ease some of the worry. Read on for our guide to foodborne illness and the restaurant industry. While an American chain sourcing mass quantities of ingredients for thousands of restaurants may seem unrelatable to the local restaurateur, there are a number of hard-hitting examples much closer to home. Just this past spring a local Edmonton restaurant made headlines for being linked to an e.coli outbreak in the Edmonton region. An investigation began after 5 confirmed cases of e.coli were linked back to the restaurant. Alberta Health Services started an investigation, examining food handling practices and testing restaurant workers for potential contamination. It wasn’t until confirmed cases without connects to the restaurant emerged that public health officials were alerted to a larger issue. 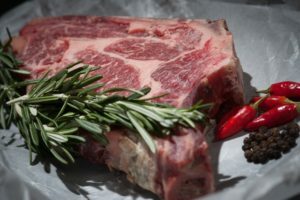 After a few weeks of investigation all of the e.coli cases were linked back to particular pork products sold through a specific butcher shop in the Edmonton area and a recall was issued. Over time, the recall grew to affect a number of local butcher shops and meat suppliers. On June 1, Alberta Health Services declared the outbreak to be over. When all was said and done there were 42 lab-confirmed cases linked to the outbreak, including 13 hospitalized patients and 1 death. What is third-party food spoilage or illness? Often times when there is an e.coli outbreak, the general public is quick to assume that poor hygiene and food safety practices in the restaurant are to blame. However, this is not always the case. Many times the restaurant is not to blame at all. The problem begins higher up in the supply chain, stemming from the producer supplying contaminated product. This is what’s known as third party spoilage. As seen in the case study above, foodborne illnesses are quite serious and can lead to hospitalization and, in extreme cases, death. No restaurant owner wants to know that their food caused someone to become sick, the same as how no person would want to know that a meal they cooked in their home made a guest sick. Unfortunately illness can lead to much more than a guilty conscience. Even a single instance of foodborne illness can send a restaurant’s reputation spiraling. Being associated with any sort of illness is bad for business. In more extreme cases, restaurants may even be shut down temporarily if they are believed to be responsible for the contamination, or need to take extra precautions to avoid further spreading the illness. Ultimately, once the source of an outbreak is confirmed the product will be recalled. This means that potentially thousands of dollars of product must be returned, thrown out, or replaced. This action can affect even those who haven’t been directly linked to the outbreak. Anyone who has potentially contaminated product needs to follow this course of action.